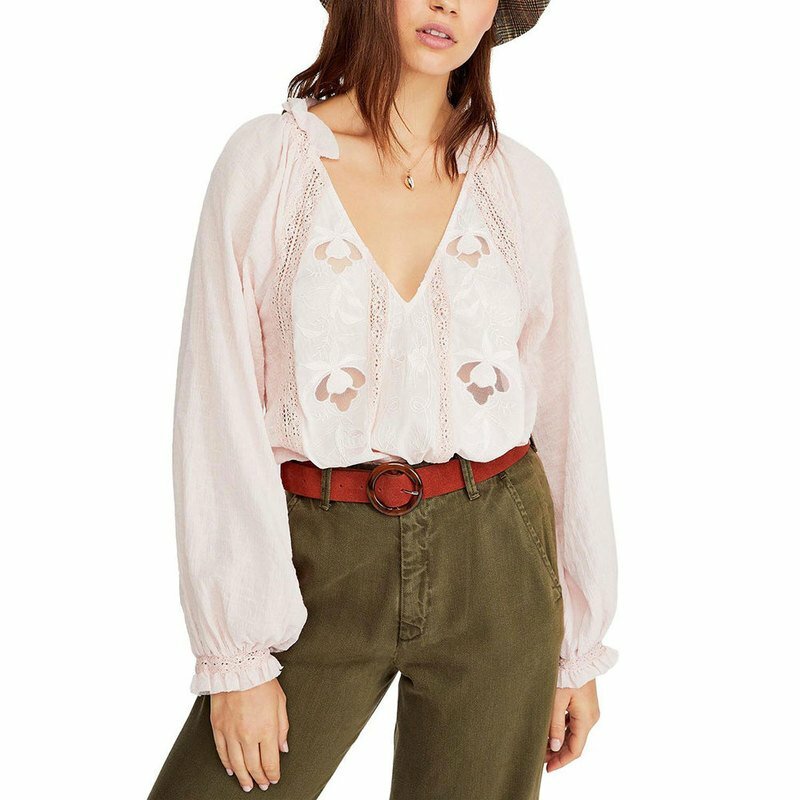 Tonal embroidery finishes this charming look from Free People, a chic blouse accented with lace and crochet. 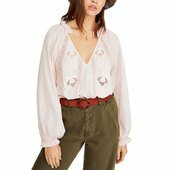 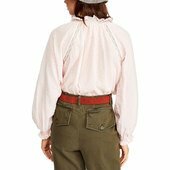 If you love the laid-back charm of boho-chic apparel, you'll find a beautiful selection of clothing from Free People that fits your style. 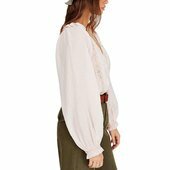 From ultra-feminine dresses to cute, flirty tops, browse the collection of casual, hip designs.